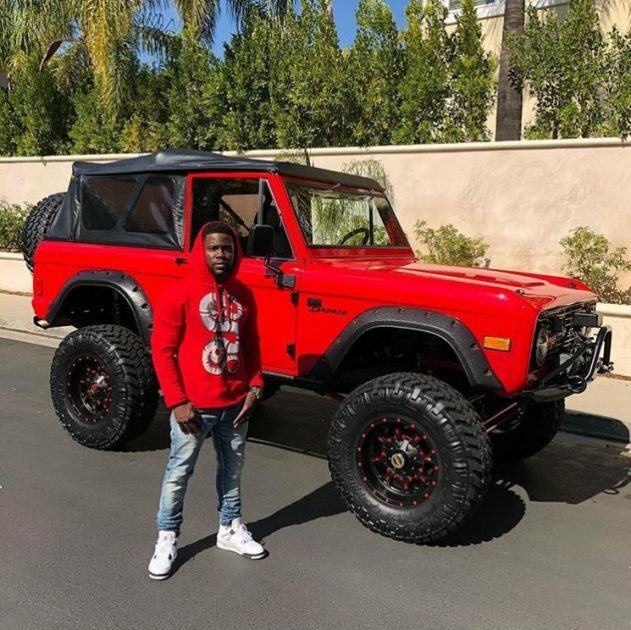 When he’s not starring in Mountain Dew Kickstart ads, touring the world with his comedy act, or starring in a film alongside Dwayne “The Rock” Johnson, Kevin Hart is probably somewhere admiring a really awesome car. 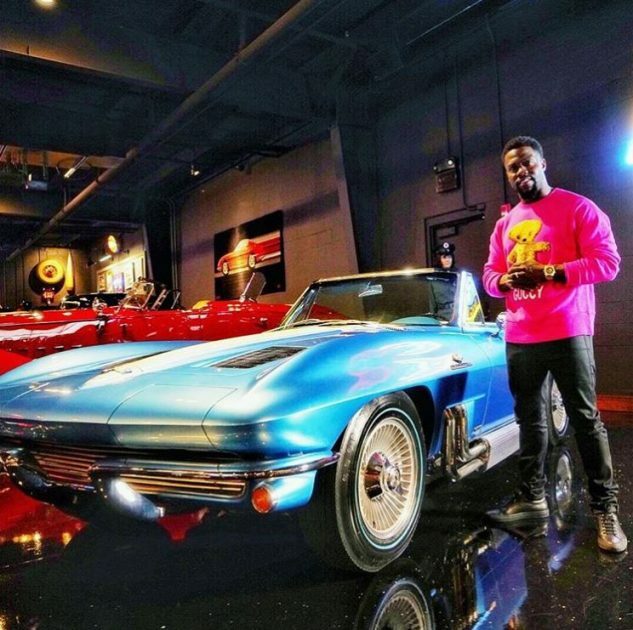 The actor/comedian has quite a collection of vehicles and is a proud “CarHead,” as he’s noted on his Instagram. According to Forbes, Hart raked in at least $32.5 million last year, meaning he’s likely got some extra cash to spend on a few luxurious rides. 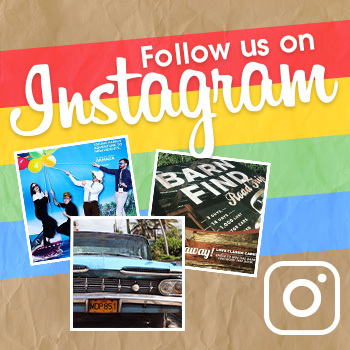 Here are five more of the coolest cars that can be seen on Hart’s official Instagram page. 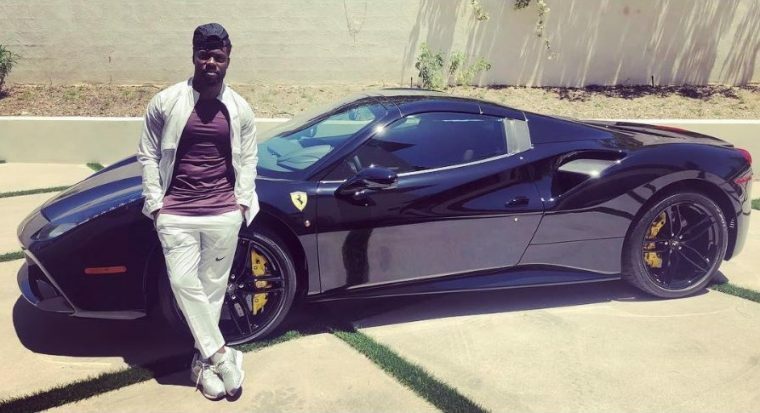 It’s quite obvious Hart has an affinity for Ferraris. Along with his white 458 Spider and his other 488 GTB (red), he’s now got this black Ferrari 488 Gran Turismo Berlinetta in his collection. According to the caption on the photo, the car was a present for his 39th birthday. We’re not sure if Hart gifted the vehicle to himself or if the Italian automaker decided to give the 488 GTB to the star for his continued loyalty, but either way it looks amazing. 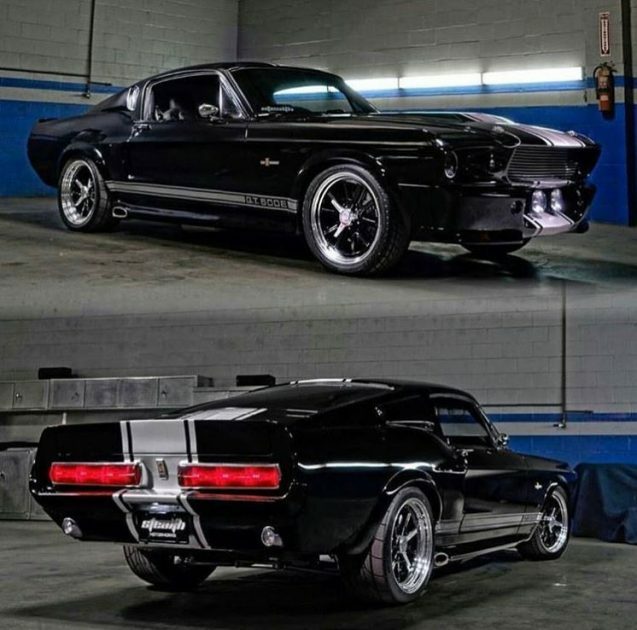 This all-black 1967 Shelby Mustang GT500E is Kevin Hart’s prized possession. The model was featured in the 2000 version of Gone in 60 Seconds and was given a nitrous oxide system to provide some impressive power. Hart’s version of the Shelby Mustang received an upgrade in the form of an automatic transmission, since the comedian is unable to drive a manual. The entire restoration process took nearly two years to complete, but now the 5-foot-4-inch actor can coast around the streets of Southern California with ease. Although the light blue 1963 Chevy Corvette pictured isn’t owned by Hart (that we know of), it’s still a “#DopePic,” as stated by the comedian. The second generation Corvette was considerably smaller than the first gen but could manage a considerable 360 horsepower. 1963 was the first year the Sting Ray coupe was introduced, with a tapered rear deck and a split rear window. Well-known automotive designer Larry Shinoda took inspiration from a “Q Corvette” concept which was created under the styling direction of Bill Mitchell (who was responsible for influencing and designing a large number of GM vehicles). The Ford Bronco has been back in headlines lately, for good reason this time. The SUV had a run from 1966 to 1977 as a compact option, followed by an upgrade to a full-size SUV in 1977 until its retirement in 1996, just two years after the infamous O.J. Simpson car chase. While Ford announced it would bring the Bronco back for the 2020 model year, Hart chose to customize a classic model. The lifted red Ford Bronco is so tall that the diminutive entertainer has to jump up into the vehicle. 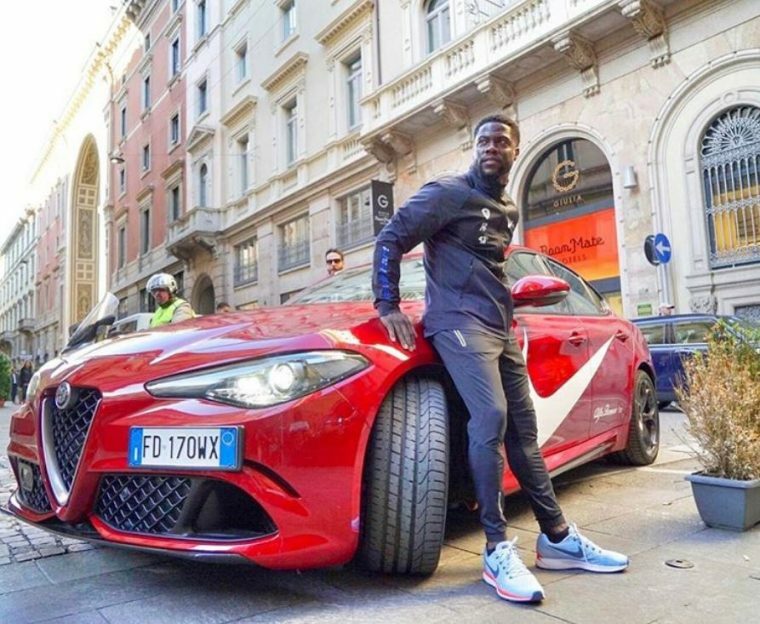 In May of 2017, Kevin Hart and Olympic track medalist Carl Lewis were invited to the “Breaking2 Together” event in Milan to meet the Alfa Romeo Giulia Quadrifoglio. Hart enjoys running and founded #runwithhart with Nike, which inspires people to get active, so it only made sense to introduce him and Lewis to the powerful Giulia Quadrifoglio. The vehicle — emblazoned with a huge Nike swoosh — has a top speed of 307 mph and can go from zero to 60 mph in just 3.9 seconds. No word on whether Hart can keep that pace or not.